For those visiting the Gulf Coast of Mississippi during the months of February and March, be sure to spend a day as a spectator at the 19th Annual Gulf Coast Winter Classics Horse Show in Gulfport, MS. This six-week USEF AA-rated show series will feature some of the nation's top equestrian athletes. And for many it will mark just one stop during a winter show season that will travel through Atlanta, Jacksonville, Pensacola, Ocala, and Wellington. The show runs from 8 February - 19 March 2017 at the Harrison County Fairgrounds, and spectators are welcome Wednesday through Sunday. Admission is always free! The Gulf Coast Winter Classics Horse Show prides itself on offering classes for horses and riders of all skill levels, from lead-line to Grand Prix, so there is something for everyone. This event draws thousands of riders and spectators alike each year, and was named not only the USHJA Zone 4 Member's Choice Award-winner, but also winner of the South East Tourism's Top Ten Award. This show's growing popularity has attracted barns and riders from all over the east and southeast regions, so there will be plenty of chances to see some true talent in the hunter, jumper, and Grand Prix rings. Visitors are invited to not only watch the competition, but to also enjoy some classic southern hospitality at the exhibitor parties, Happy Hour Mondays, and Pizza Saturdays. 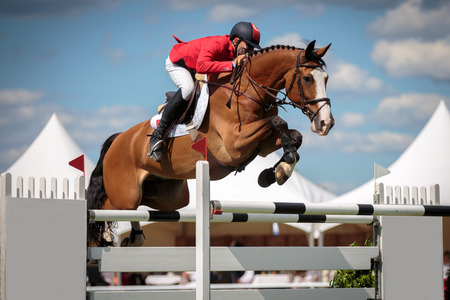 For true fans of equestrian sports, there will be weekly Grand Prix events (held on Sundays at 2 pm), as well as two USHJA Hunter Derbies (to be held Weeks 2 and 5), and Jumper Classics. With more than $1 million in cash and prizes awarded during the 2016 series, this coming 2017 season is sure to be a year with much excitement and some true competition. With state-of-the-art equestrian facilities, including a large grass Grand Prix field and all-weather footing in the hunter and jumper rings, the Gulf Coast Winter Classics Horse Show is an excellent addition to any trip itinerary, or just a great way to spend a local Sunday on the Gulf Coast. Whether or not you are an equine enthusiast, you'll marvel at the talent and competition in the rings, and at the pristine setting and southern charm of the Gulf Coast.